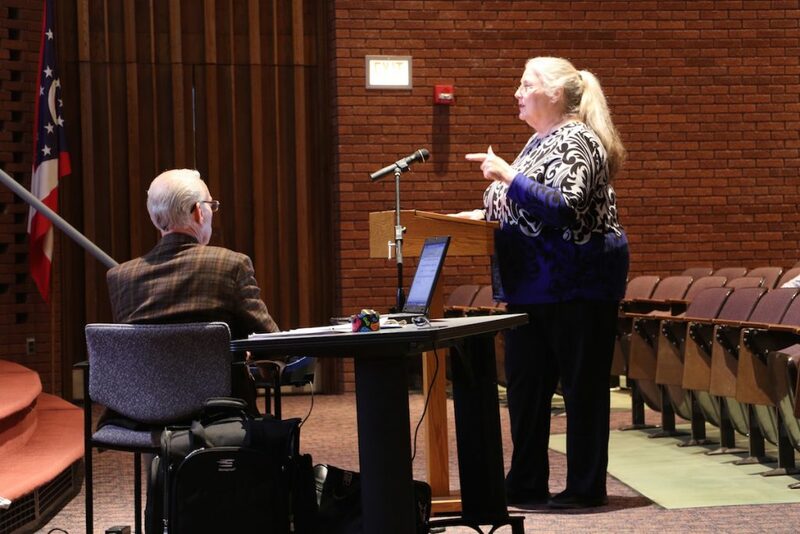 WOOSTER, Ohio — Wayne County residents voiced their concerns about a planned biosolids lagoon directly to the Ohio Environmental Protection Agency during a public hearing April 17, but many of the comments won’t make a difference on whether or not the project goes forward. 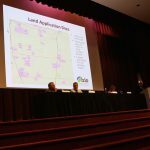 Chad Ferguson, an environmental scientist with the OEPA’s Division of Surface Water, said issues like local land use and zoning, road traffic and noise, and the popularity of the project are not factors in the agency’s decision-making process. 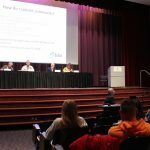 The hearing was held on the Wooster campus of the Ohio Agricultural Research and Development Center. 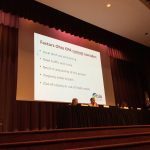 Ferguson said the OEPA will enforce what it can, including such things as the engineering and design plans, operation and maintenance plans, groundwater protection and the mitigation of odor. At stake is a 10-million gallon biosolids and municipal waste storage lagoon that a local energy company, Quasar Energy, wants to build on land being purchased by farmer Jason Wiles. According to the permit application, the clay-lined structure would store treated biosolids from Buckeye Biogas, Quasar’s anaerobic digester located on the OARDC property. The material, high in organic matter, would later be applied to EPA-authorized acreage within the county. 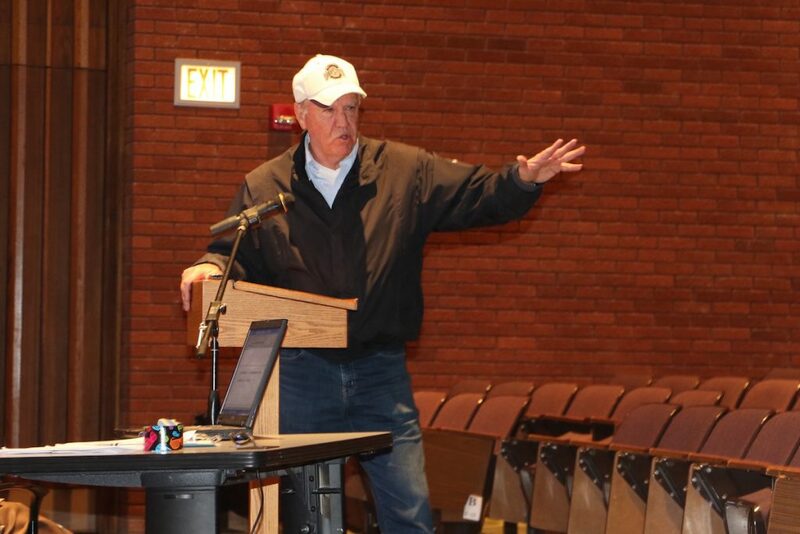 Ferguson said it’s noteworthy that about 1,000 acres near the lagoon have already been certified, and that biosolids have been applied in the county for many years without complaints. Biosolid storage and application is closely regulated by the Ohio and U.S. EPA. 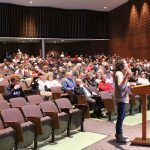 However, residents are still concerned about the potential for odor, environmental contamination, and the effect to property value. Ron Walton, who has lived with his wife near the site for nearly 50 years, said the community stands to lose the most. “It’s a shame that we have one company, one man that’s going to profit out of this whole thing when the rest of us are all going to be losers,” he said. 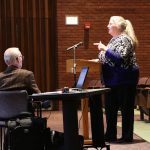 Mary Metz, whose wooded property adjoins the property being cleared for the lagoon, said Wiles met with her prior to the project, to identify their property boundaries. She said he “never once mentioned” the lagoon. “He had every opportunity to share his side of the story, and chose not to,” she said. 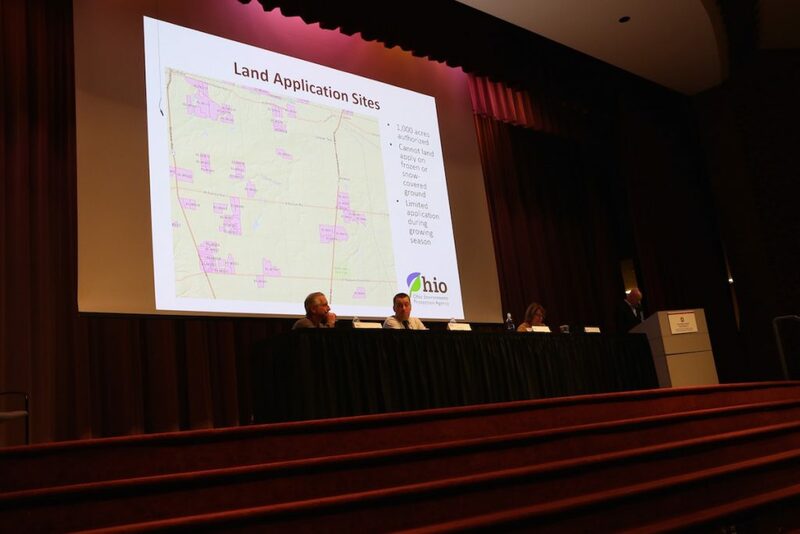 Biosolids like the material proposed for the 10-million gallon lagoon are already being applied on farmland near the proposed Wayne County site. 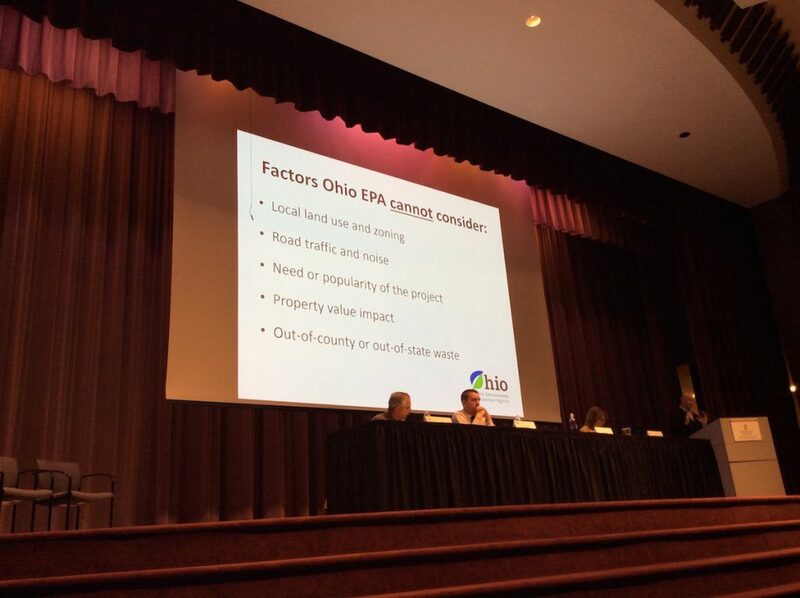 The OEPA will take public comments on the proposal by April 24, through email and in writing. Comments will be reviewed and written responses will be published. Tom Blough, who lives near the proposed site, traveled to communities with existing Quasar biosolid lagoons to see what people are saying. 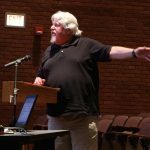 “Smell the smells, talk to the people, drive the roads and see the despair in their faces,” Blough said during the April 17 hearing. Issues like local land use and zoning, road traffic and noise, and the popularity of the project are not factors in the agency’s decision-making process. 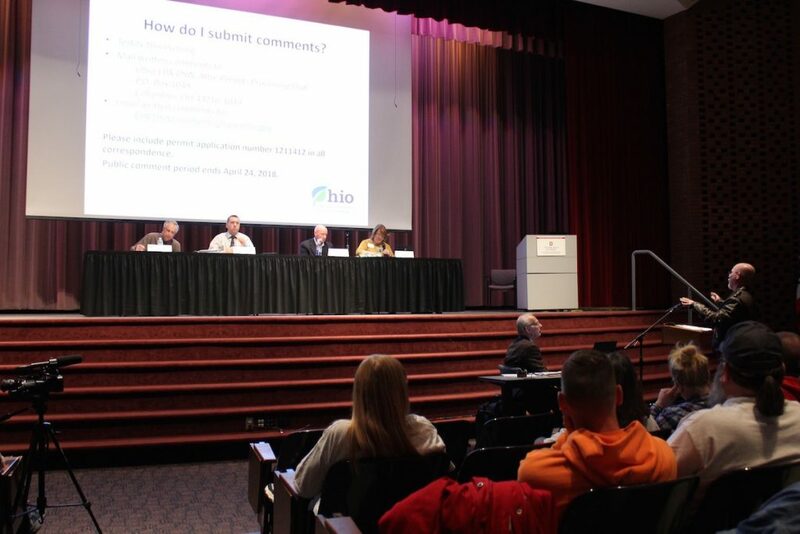 Wayne County residents voiced their concerns about a planned biosolids lagoon directly to the Ohio Environmental Protection Agency during a public hearing April 17. 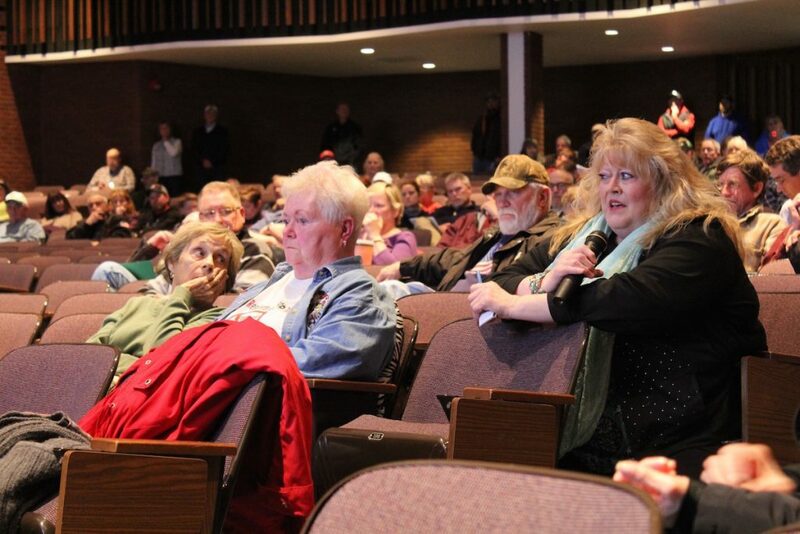 Wayne County residents voiced opposition to a proposed 10-million gallon biosolids-manure lagoon during a public hearing April 17. 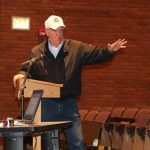 Dairyman Stan Carmony, whose family has farmed in Wayne County since 1895, said he tries to be neighborly and avoids spreading manure when it might cause odors for others, including at a nearby campground. 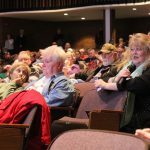 “I will never once sell my neighbors down the road for financial gain,” Carmony said, garnering applause from the audience. His daughter, Kelly Miller, said it’s not fair to compare the biosolids lagoon to those operated by livestock farmers. “This lagoon is going to give farmers a bad name. This is not what farmers do, this is not how farmers act,” she said. Aside from groundwater contamination, odor seemed to be the most pressing issue raised by residents. Ferguson said if the project is approved and generates nuisance odors, the EPA can and will act. Ferguson said the most obvious thing would be to add a cover to the lagoon, but other things can also be done. In the past, Quasar has acted on odor complaints, he said, reducing the issue. 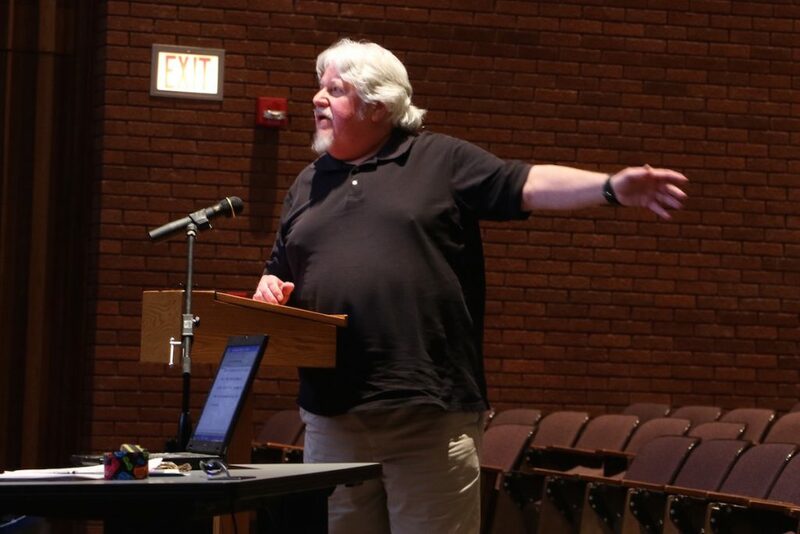 But Cleveland-based environmental lawyer Dave Bell, who represents a citizen opposition group, said Quasar’s past record indicates nuisance odors are a sure thing, and that EPA should do more up-front. 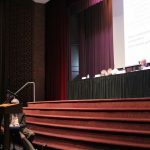 A staff member for the OARDC event center and a student at the Agricultural Technical Institute also testified about the odor, saying there are times when the odor from the digester on campus mars weddings being held in the nearby Secrest Arboretum, and that the odor can be detected at the ATI’s apartments. Ferguson said the project is considered a proposal, and that the EPA staff will make a recommendation to Ohio EPA Director Craig Butler whether or not it should be approved. 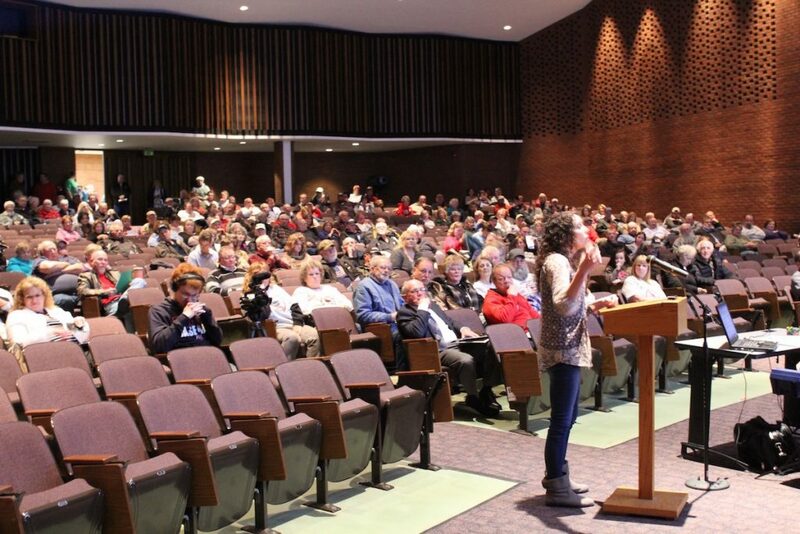 The crowd snickered when he noted the project will take only materials from the Buckeye Biogas digester “at this time,” with residents raising concerns that Quasar will broaden its supply chain later. 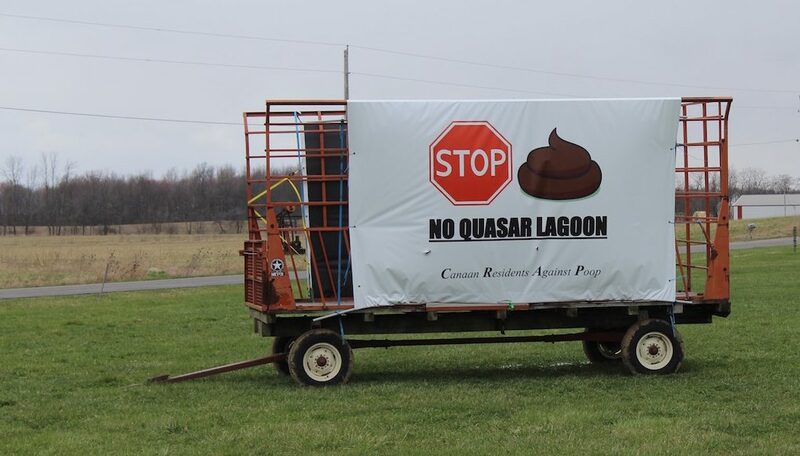 Quasar would not tell Farm and Dairy from which cities or entities its waste will come prior to entering the digester, citing confidentiality agreements with customers, but said the material would come from within a 75-mile radius of Wooster. 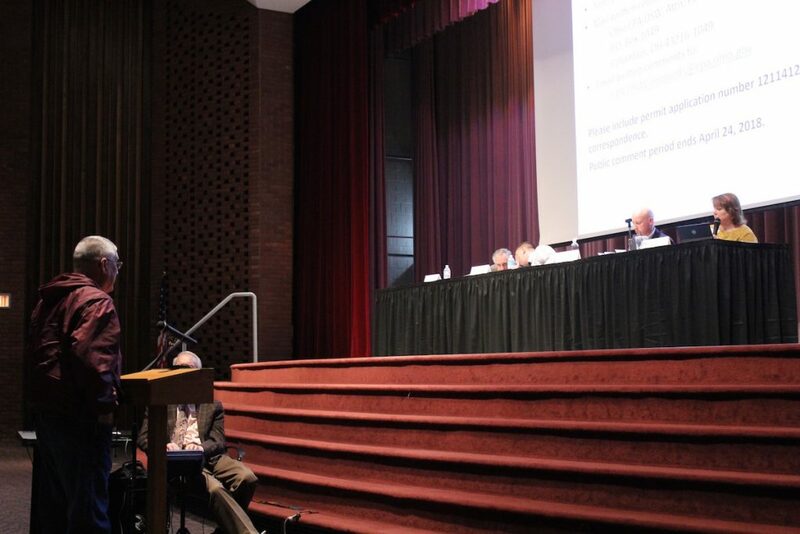 Residents also cited concerns with Quasar’s past violations, which includes odor issues at its locations across the state, and at the Wooster Wastewater Treatment Plant, which the company previously operated. In 2016, the Ohio Attorney General’s Office sued Quasar for odors in Wooster, Cleveland and Sheffield Village, and the lawsuit also named the OARDC facility along Secrest Road. However, the state later dismissed its own case, at the request of Ohio EPA director. Tom and Barb Blough, who live near the proposed site, said they traveled to communities with existing Quasar biosolid lagoons to see what people are saying. “Witness this by yourself, smell the smells, talk to the people, drive the roads and see the despair in their faces,” Tom Blough said. The EPA will take public comments on the proposal by April 24, through email and in writing. Comments will be reviewed and written responses will be published. The EPA director will issue his final decision on the permit to install, which can be appealed by either the developer or concerned citizens. What are biosolids and are they safe? More “We don’t give a hoot in Hades” for the “little people” who live, farm, work, and enjoy fresh air and decent property values. More un-elected bureaucrats cracking the whip over the taxpayers and land owners. More rules, regulations, by-laws and malarkey that only $1,000/hr lawyers can quibble with. Folks: grab the pitchforks before they are banned along with all manner of knives and firearms–we’re going to need them.